Nexsus's unique Software Factory Approach (SFA) of software development is a methodology designed to ensure maintainability of code and consistent software quality. 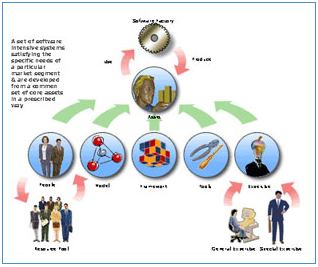 The Software Factory Approach addresses the key issues of interchangeability of code authorship, transition management and operational efficiency improvement. A software factory is a set of software intensive systems satisfying the specific needs of a particular market segment & is developed from a common set of core assets in a prescribed way.